I have the feeling that I've been a really good girl this year, because Santa has filled the floor with gifts for me! Among many others, he has brought me nail polish, and not any kind, but my favorite: China Glaze! 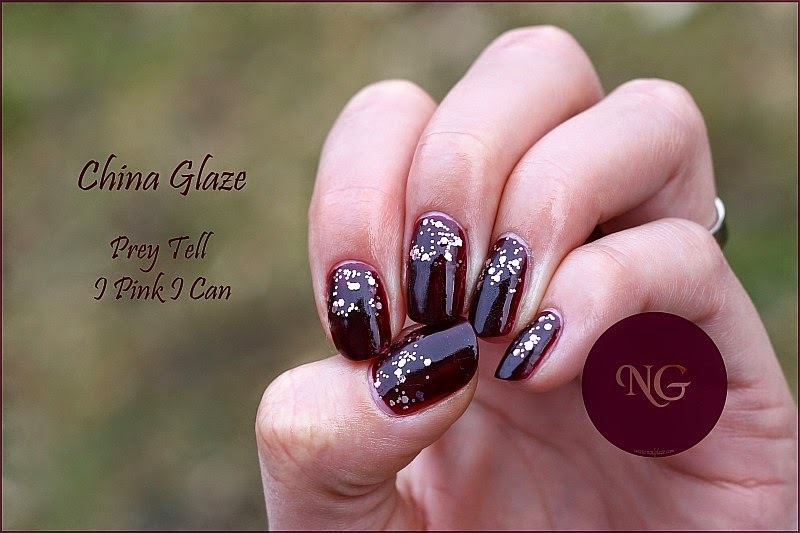 China Glaze - Prey Tell is a dark red wine color. Not a usual burgundy though, but it has a bit of purple too. 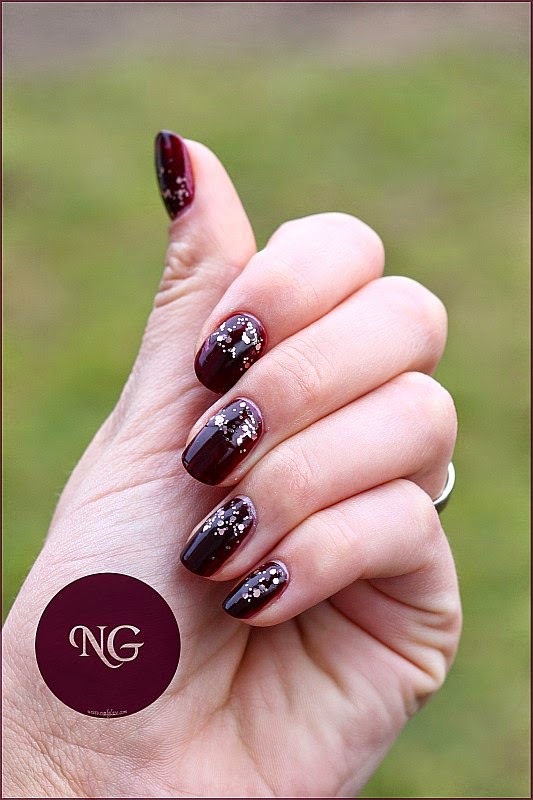 Although it's from the On Safari Fall Collection, I wore it at Christmas and it was beautiful on my nails. With two coats you will get exactly the same color as you see in the bottle. The polish is easy to remove and it won't stain your nails. China Glaze - I Pink I Can is a pink glitter polish in a clear base. It contains medium sized and small hexagonal pink glitters. It's from the Pink Of Me Collection from 2013 and was specially released for raising the Breast cancer Awareness. They look lovely together in this gradient.